Going strictly by the Googled definition of credit, it is “the ability of a customer to obtain goods or services before payment, based on the trust that payment will be made in the future.” However, at SlicePay we put it differently – credit is actually the potential to fulfil your desires – regardless of age and gender- and not delay them for reasons whatsoever! Traditionally, we’ve all seen our working class parents buy expensive appliances or gadgets – after going through a tedious process of proving their credibility- on monthly instalments. This is the same monthly structure that they’re mostly not very happy about due to the high interest that comes along the instalments. And due to the very system, obviously, they end up paying much more than the actual price of the product. Lots of hassle and terms and conditions, yea? SlicePay ends it all up. 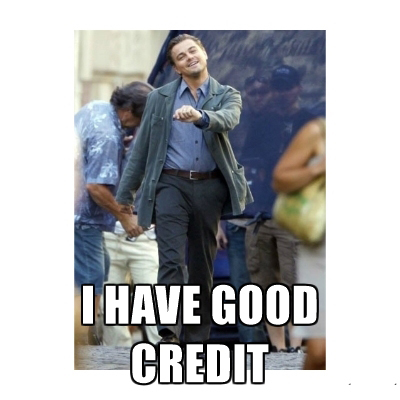 Here, we redefine credit and trust us, it’s worth it. No hidden charges, no hidden terms. That’s our promise. SlicePay offers credits to students – who do not need to go through a tedious process of proving their credibility. Got your college ID card? Cool enough. Want to own a MacBook Pro but parents already got a lot on plate? It’s obvious that a student generally would not have enough money to buy all you want. You might not even always be in a position to ask your lovely mommy-daddy; but you can definitely get what you want – just a little saving here and there and voila! What you want, whenever you want, without a big hole in the pocket. Hassle free credit, gotta be a thing! Annoyance free credit in a world where KRK still tweets means owning up your dream: stress free and pleading free. You’re old enough, save up! Financial Independence – India celebrated its 70th this year; don’t you want it too? Stop clinging to your parents, credit means buying your dream, yourself, becoming independent. Need emergency money, get credit from SlicePay. Transfer this credit to your paytm wallet and use it for phone recharges, cab rides and food order or anything else you need. No more relying on anyone else. No down payments if you’ve made at least one repayment; if you aren’t convinced already, is also advantageous because you do not need to make any upfront payments from second order onwards once you’ve made at least one repayment. Still in doubt? Reach out to SlicePay for credit help and inquiry. Convinced? Start shopping peep – almost anything you want!